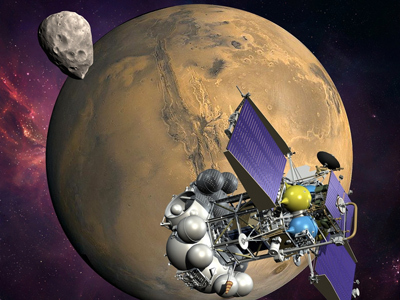 Almost no hope left to save Russia’s Phobos-Grunt interplanetary mission to Mars, as attempts to re-establish contact with it failed. Some say, in theory it may be destroyed by a rocket to prevent it falling back to Earth. ­Last night witnessed several unsuccessful attempts to contact the spacecraft, a source in the Russian space industry told Interfax. According to the source, specialists are expected to try again on Friday, using Earth-based stations of the European Space Agency and NASA, including those located in South America and Australia. In the evening further attempts will be made from the Baikonur and Moscow region sites. However, the source admits, the chances of saving the mission are practically equal to zero. Still, not exactly zero – otherwise, Roscosmos says, they would have already stopped trying to save the mission by now. Following a successful launch from Russia’s Baikonur Cosmodrome in Kazakhstan and the subsequent separation of the Phobos-Grunt probe from its booster rocket on Wednesday morning, its own engine failed to generate two impulses which were necessary to direct the spacecraft onto a path to Mars. As a consequence, the probe became stuck in a low transitory orbit above Earth. ­The great fall: where exactly? ­So, the latest reports say Phobos-Grunt is most likely to fall back to earth. But where? That is still a question to be answered. If the engine fails to run, the fragments that do not burn in the dense atmosphere, may fall down almost anywhere on Earth – in the US, China or somewhere in Africa or the Middle East, as well as in Europe or Australia, Japan or Russia. That is according to a Russian ballistic expert who spoke to the Ria Novosti news agency on conditions of anonymity. 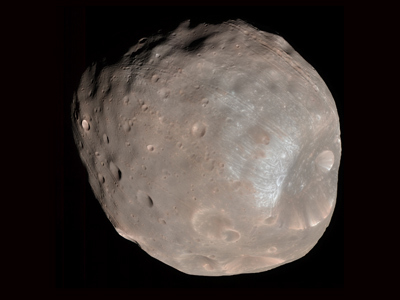 “The orbit of Phobos-Grunt is going down around two kilometers daily. But how the Earth would turn at the moment it falls down – no one can predict. But with every hour there is more data on that, so at the moment it is expected to fall we will determine the area precisely,” the expert said. But Igor Lisov, from “Cosmonautics news” magazine, calmed the nerves of at least Muscovites, saying that Phobos-Grunt will definitely not fall on Moscow. According to him, Australia and Africa, half of South and North America and half of Eurasia are at risk. If no miracle happens and no connection is established in the end, it will remain uncontrolled, he told Ria Novosti. However, he noted, it may be theoretically shot down by a rocket to prevent the fall. “It is known that China and the US have the technologies that allow doing that,” he said. 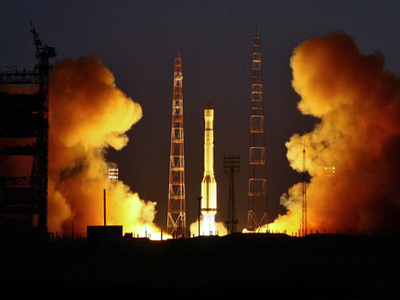 ­A source in the spacecraft industry said that the failure of the interplanetary mission may result in the sacking of several top Roscosmos officials. “A year ago, when GLONASS satellites fell down into the Pacific Ocean, it ended up with the Roscosmos deputy head being fired as well as one of the deputy heads of the Rocket and Space Corporation “Energia”. Now there can be similar consequences,” he noted. 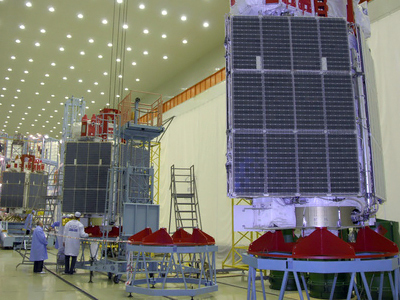 The botched launch of the Glonass satellites on December 5th resulted in the rocket failing to reach orbit, and falling into the Pacific Ocean. According to the investigation, the failure was caused by an error in mission instructions, which resulted in too much fuel being loaded. ­The resignations of Viktor Remishevsky, the Deputy Head of Roscosmos and Vyacheslav Filin, the Deputy Head and Chief Constructor of delivery systems of the Energia rocket corporation, followed a report on the crash. According to the source, there is a commission usually called up after such large scale failures from top spacecraft institutions, where specialists, not bosses, take part. Different versions are estimated, it is investigated whether the spacecraft went through all necessary tests, if the documentation was carefully observed in its construction. The research normally takes around two or three months. The commission then comes up with the possible reason for the misfortune, or a number of them if it is not too obvious, and Roscosmos makes its conclusions.